Who is the author of Hebrews and was he a Hellenist? There are a number of liberal theologians who believe the writer of the Hebrews to be on the same plane of thought as the secular writer Philo who was a Platonist. This concerns, particularly, the doctrine surrounding the Eternal Logos. These liberal theologians would continue to argue that the book of Hebrews is a mix between Christianity and Middle Platonism. If this were true, it would mean that the Epistle to the Hebrews was corrupted by pagan thought. Fortunately the writer to the Hebrews did not have misguided notions of Platonic philosophy as his rule and guide, but, as will be demonstrated, the Hellenistic philosophy of Philo is under attack in this God-inspired epistle. The writer of Hebrews, which will be “named”, has written his letter with high articulation, and with subtleties alluding to the explicit refutation of the Middle Platonism of Philo and all Alexandrian Hellenistic ways of thinking that were against holy Scripture. First, a summarized examination of Philo’s Logos is in order, for the Logos doctrine is alluded to in the epistle to the Hebrews much more than one realizes. For Philo, his Logos is seen in the beginning of creation. It is “birthed” in the mind of God before anything in this lower world is made.1 This Logos must be “created” before anything else because Plato’s “god” “needs” something to interact with between itself and that which will be created. Philo needs a middle man. Philo states, “…the Logos was conceived in God’s mind before all things and is manifested in connection with all things.”2 After this Logos is created or birthed from the mind of his God, the God which had created it then sends it forth and allows it to overflow as emanations. These overflows are called “emanations” – shock waves from the divine mind. These emanations of the Logos then become differentiated into lower types of manifestations. The Logos, for Philo, can be used to include all of these lower types. Yet, at the same time, since the Logos is a projection of divine reality and being, it can be called God.3 So for Philo the God who send out the shock waves, and the shock waves that manifest themselves here on earth are in fact the divine Logos. This Logos can also be deemed an apospasma, or extension of God. This extension is seen in the intermediaries which Philo regulates as the workings and acts of the Logos in the midst of men, and at times, as a cosmic force.4 Sometimes the wording in Philo’s writing seems to imply that the Logos is a thinking soul rather than just a world of ideas or mind of God which emanates.5 But the idea of the Logos always constitutes a middle man and an intermediary between God and men. The Logos is an intermediary in the ethical salvation of man.6 But Philo’s Logos has nothing to do whatsoever in the moral redemption or sacrificial redemption that is blatant in the book of Hebrews. As a Platonist, Philo understood the world of the forms as those forms which exist as thoughts in God’s mind, as His ideas for the “one great city” of the cosmos. There is a “form” of a perfect dog in the mind of God. There are other dogs on earth. On earth these dogs are simply shadows of the one perfect form of a dog in God’s mind. They all, though, have the trait of “doginess”. Big or small, fat or thin, or whatever color the dog is, it is simply a shadow of the perfect dog in the mind of God. The same can be said of a circle, of a chair, of a bird, of a stone, of everything. This world of thoughts is actually the Logos and is understood as the subordinate mind of God.7 From this storehouse of forms all other things, as stated above, emanate from it. At this point one can now see the difference between the writings of Philo and his conception of the divine Logos and the write of the Hebrews which attributes the “Logos” to the incarnate Son of God Jesus Christ in a hidden agenda that emasculates Hellenistic Philosophy. For Philo the terms Logos and Nous are used interchangeably. Here it can also be stated that the Wisdom notion personified in the literature of the Jews is also compiled into the Logos and Nous of Philo. Here, it seems, either Philo, or one of his contemporaries, attempted to bring together the Greek Hellenistic Logos with the Jewish Wisdom ideology.11 Judaism and mysticism mixed together. To those who gloss over the exegetical nature of the book of Hebrews it “seems” that the writer of Hebrews demonstrates a familiarity of Hellenistic thought throughout his Epistle and may be in agreement with it. This, however, is not the case at all. Consequently the writer knew about the confused mix of Stoic and Platonic philosophy which the Hellenistic Jews, such as Philo, sought to compromise with Judaism. The writer of Hebrews understood the “idea” of the emanating Logos. He is familiar with the Alexandrian text “The Wisdom of Solomon” and at least shared an education, prior to his conversion to Christianity, with Alexandrian theology and philosophy.12 This is exceedingly clear from his refutation of Platonic Philosophy in the epistle to the Hebrews. Who is this anonymous writer which was familiar with Hellenistic Judaism? Though we will not set this down as inerrant and inspired since God found reason to leave out the name of the writer from the text of Scripture, we will hypothesize the answer. From the Epistle to the Hebrews some deductions can be made about the author. 1. He was a Jew. 2. He was a Hellenized Jew. 3. He is from Alexandria. 4. He is a brilliant thinker. 5. He is a preacher (as some understand the letter to be a sermon – and this writer believes that to be correct). From these five inductions made from the content of the Biblical text a hypothesized solution can be made, which, in this writer’s opinion, may be correct as to the author of the epistle. One can deduce the authorship for Hebrews from what is known about the letter, coupled from what is known in Acts. Acts 18:24-25 states, “Meanwhile a Jew named Apollos, a native of Alexandria, came to Ephesus. He was a learned man, with a thorough knowledge of the Scriptures. He had been instructed in the way of the Lord, and he spoke with great fervor and taught about Jesus accurately…” From a study of this passage in Acts one may surmise and ponder the implications made when this text is added to the five points in the above paragraph. Apollos is a Jew, a Hellenized Jew, had come from Alexandria, taught accurately about Jesus and spoke with great fervor. Does this sound like the writer to the Hebrews? This writer could argue in the affirmative. In 1 Corinthians 3:4 Paul writes, “For one says “I follow Paul,” and another, “I follow Apollos,” are you not mere men?” At this point in history we see Apollos being held in very high regard, subsequent to Priscilla and Aquilla having helped him in his learning of the Scriptures in the book of Acts, and seen as a great preacher to a large number, if not as much as half, of the Corinthian Church (a huge number of people). It seems the first Christian philosopher may be seen here within the anonymous Epistle to the Hebrews with the help of Acts and Corinthians. This would explain a great deal of the Hellenistic Judaism which the writer articulates in his epistle.13 For all intents and purposes, let the author of the Epistle to Hebrews be named as Apollos, and the reader can determine in his own judgment and time if this is agreeable. Did Apollos use Hellenistic or Platonic material as a help for his ideas in Hebrews? Many liberal theologians and philosophers would answer “yes” but a careful look between Philo and Apollos would render the answer a dogmatic negative. Apollos utilized Platonism in order to refute it against those who would turn from their Christian ways back into the world of Hellenistic Judaism. Hebrews is a refutation in order to strengthen those who would see Hellenistic Philosophy as better then the Gospel of Jesus Christ. The epistemological Logos and the cosmological Logos are both taken care of in the first paragraph of Hebrews, 1:1-4. Philo’s writings are extensive in this area but Apollos sums up all of his confusion and nonsense in a few short sentences. The Logos of Philo is a metaphysical abstraction, but for Apollos He is a specific individual, an historic person.14 Philo’s “son of God” is a Logos which acts as an oblivious force where the Logos of Hebrews (and John’s Gospel) is God’s personal Son, the second partate of the Divine and Holy Trinity.15 In fact, this Son-Logos, who is called Jesus, is greater than the angels. So Philo’s idea that angels are an emanation, a Logos, is corrected where Apollos states that Christ is greater than the angels. Hellenistic Judaism had taken on the idea that these mediators were, in one form, angels which fellowshipped with men. Philo had applied the Logos doctrine to these created beings which for him, served as mediators between the great and higher God who is transcendent. These angels occupied a very lofty region of the universe, the ethereal region. 16 Apollos, on the other hand, was anxious to place the demythologized beings of Philo in their proper place in the universe – a lowly one – far below that of Christ17 who had been raised “as far above the angels, as the title he has inherited is superior to theirs (Hebrews 1:4).” For Apollos angels may have caused some anxiety because there was a tendency on the part of the Christian readers of his epistle to worship them (as Paul states in Colossians 2:18) or they were regarded as the mediators of a revelation of God which he was refuting in order to convince the readers that they are replaced by a new and final mediation on the part of Christ. 18 Angels cannot be the Logos of God. Christ is. Moses for Philo is king, lawgiver, high priest, supreme prophet, a special holiness, the holiest of men, having outstanding wisdom.19 He is the keeper and guardian of the mysteries of the Existent one. Moses’ law was unchangeable and eternal20 He was the closest man to God having the divine seeds, which had been placed also in Abraham and Isaac, in him.21 All who come into being after the divine mind are implanted with this divine seed. Their minds are molded after the divine Mind archetype, which is the Logos. Apollos refutes this veneration of a servant God in Hebrews 3:6. Hebrews 3:5-6 states, “Now Moses was faithful in all God’s house as a servant, to testify to the things that were to be spoken later, but Christ is faithful over God’s house as a son.” Moses was only a servant of God’s household, but Jesus is found worthy to exceed Moses greatly in a higher honor.22 Moses is a servant of the house, but Christ is the builder – he is the Son. Apollos and Philo represent their own independent variants on the language of the LXX of Exodus 14:31. Exodus 14:31 says, “Israel saw the great power that the LORD used against the Egyptians, so the people feared the LORD, and they believed in the LORD and in his servant Moses.” In no way does Apollos condone Philo’s understanding and misuse of Moses as Logos.24 Moses is simply a vessel, a servant, for Apollos’ epistle. For Philo, Moses is a Logos. Apollos, though, demonstrates that Christ is the Son, and Moses is simply a servant, again, demythologizing misconceptions about Moses. Moses cannot be the Logos of God. Christ is. The Messianism of Apollos, and the High Priest Messiah, is something that was clearly not derived from the writings of Philo. The “mere” intellectualism of Philo’s writings are entirely absent from the writings of Apollos. The writer of Hebrews is not attempting to solve the metaphysical problem Philo was dealing with; Apollos did not need to bridge a gap or gulf between the God of pure being and a world of mater.25 Instead, Apollos demonstrates the Logos that was incarnate. One of the foundational texts in which Apollos uses for his Christology is Psalm 110. 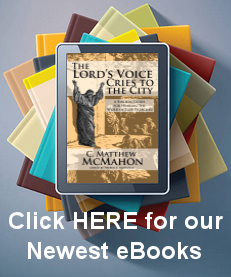 He alone uses the Psalm to create an explicit doctrine of the High Priesthood of Christ. Psalm 110:4 states, “The LORD has sworn and will not change his mind, “You are a priest forever after the order of Melchizedek.”” Philo’s conceptions of this idea are nowhere to be seen. The Hellenistic Judaism of the high priest is crushed as it is fulfilled in Christ – He who is after the order of Melchizedek – the eternal priest. The anti-types of the Old Testament sacrifices and the Jewish High Priests, for Apollos, are found as waiting for something better to come – that is Jesus.26 As Williamson states, “The ideals and potentialities of that system were fully realized and achieved only in the full, perfect, and sufficient sacrifice for sin offered once for all by the great High priest Jesus.”27 The high Priest cannot be the Logos of God. Christ is. Melchizedek, as Apollos uses him, affords an illustration of how he could manipulate Alexandrian and Philonic methods of Scriptural Exegesis in his own way to support his own original conclusions in refutation.29 It is clear that Apollos linked the reference to Melchizedek in Genesis 14 and Psalm 110 and regarded the former passages as shedding light and illuminating on the full messianic meaning that Jesus has an everlasting priesthood greater than any other. Philo never uses it nor ever hints to any such passages.30 Melchizedek is not the Logos. Christ’s priesthood is forever, after the order of Melchizedek, but far surpasses him in that Christ’s reign is forever, physically and spiritually. The Logos of Philo was not a person as an individual. Philo did not write about his Logos in personal terms, but his personifications were metaphors for a metaphysical abstractions of a mind-nous ideology.31 Philo’s vague cosmic principle is detached and transcendent from this earthly existence. It communicates by sending middle men because, as Philo thinks, it is too complex and far above to take time to talk about, or be precise about. Therefore Moses, Melchizedek and the angels help out this “existent being” in order that people may come to know “it” in some way. The Logos is “reason”, a philosophical standard of types, but not a human being incarnate. Philo’s thinking is not the truth – it is a convoluted philosophical mess by a degenerate mind to attempt to reconcile things he cannot understand without the Spirit of the Living God. Apollos sets Philo in order through the inspired book of Hebrews. Not only is Apollos familiar with the thinking of Alexandria at his time but he engages in the key philosophical arguments in order to discredit their wrong way of thinking and to show the superiority of Jesus. Apollos is arguing for the superiority of the Christian system of thought with Jesus as the chief cornerstone. Jesus is the true revelation, the true Logos, by which God reveals Himself fully to the world, not only in words but as the Son himself – the incarnate One. Philo would have a difficult time trying to reconcile this in his own mind, and in no way would he be able to handle a Logos who gives His life as a ransom for His elect. But it is this Logos, this “Reason and Logic of God”, this Christ in whom Apollos writes about in order to refute and correct those who would err in the way Philo has – going back to Hellenistic Judaism. Philo’s Logos is undoubtedly epistemological and cosmological. His writings express this fully. Yet Philo does not explain the idea of a Soteriological Logos. Apollos, as previously stated, took care of the Epistemological and Cosmology of Christ in the opening verses of chapter one – Hebrews 1:1-3, “Long ago, at many times and in many ways, God spoke to our fathers by the prophets, but in these last days he has spoken to us by his Son, whom he appointed the heir of all things, through whom also he created the world. He is the radiance of the glory of God and the exact imprint of his nature, and he upholds the universe by the word of his power. After making purification for sins, he sat down at the right hand of the Majesty on high…” Then Apollos goes on, through the entirety of Hebrews, to examine the Soteriological Logos (having started that idea in the very first verses) that which Philo neglects. There seems to be quite an irony here if Philo took years of this life to explain the Logos Epistemologically and Cosmologically where Apollos sums it all up in a single brief statement in the first two verses of the Epistle. 1. Goodenough, Introduction to Philo Judeus, p 131. Philo uses the platonic idea of the world of the forms throughout his Logos development. 3. Ibid, page 132. To some scholars Philo seems to be quite vague and confused on what he actually meant about God. He bounced Stoic and Platonic thought on these ideas. 5. Clark, Selections from Hellenistic Philosophy, page 156. 6. Seymour, A History of Philosophy, page 242. 7. Jordan, Western Philosophy, page 245. 8. Copelston, A History of Philosophy, page 459. 10. Seymour, A History of Philosophy, page 242. 11. Nash, The Word of God and the Mind of Man, page 61. 13. I had previously felt that Apollos had written the Epistle to the Hebrews. 14. Nash, Christianity and the Hellenistic World, page 102. 15. Clark, The Johannine Logos, page 16. 16. Williamson, Philo and Hebrews, page 413. 17. Ibid, page 413. Philo demythologized angels because of his allegorical approach to the Old Testament. 22. Katz, Philosophy and the West, page 320. 23. Hebrews 3:3. Though Moses was a glorious person, his glory did not measure up to that of Christ. But the word doxa, glory, is close to the meaning of time or honor and the two often occur together (e.g. 2:7,9). He who makes a house is more worthy of honor than the house, glorious thought the house may be. Moses was at all times a member of the people of God, that and no more. He had a great honor within that people, but there was no way for him to be any other than one of them. Not so Jesus! He was more.” (For further examination see: Morris, Leon. Hebrews. E.B.C. Volume 12. Grand Rapids, Zondervan, 1981.) Pages 31-32. 24. Williamson, Philo and Hebrews, page 480. 29. Ibid, page 445. Williamson argues for non-dependency of Hellenistic Judaism in Apollos’ writing. Apollos used his former pagan ideas to refute the gangrenous effect of the philosophy which Philo adhered to. 31. Nash, Christianity and the Hellenistic World, page 102. Clark, Gordon H. Selections from Hellenistic Philosophy. New York: Appleton-Century-Crofts, 1940. Clark, Gordon H. The Johannine Logos. Jefferson: The Trinity Foundation, 1972. Copelston, Frederick. A History of Philosophy: Book One. New York: Doubleday, 1985. Goodenough, Erwin R. An Introduction to Philo Judaeus. New Haven: Yale University Press, 1940. Jordan, James N. Western Philosophy. New York: MacMillan Publishing Company, 1987. Katz, Joseph and Rudolph H. Weingartner. Philosophy in the West. New York: Harcourt, Brace and World Inc., 1985. Martin, Seymour G., Gordon H. Clark, Francis P. Clarke and Chester T. Ruddick. A History of Philosophy. New York: F.S. Crofts and Company, 1941. Nash, Ronald H. Christianity and the Hellenistic World. Grand Rapid: Zondervan, 1984. Nash, Ronald H. The Word of God and the Mind of Man. Phillipsburg: P&R Publishing Company, 1982. Williamson, Ronald. Philo and the Epistle to the Hebrews. Leiden: E.J. Brill Publishers, 1970.